Should I Bid on Branded Keywords for PPC? Do you have a best friend where there are certain topics that are off limits? Let’s say you are a Canadiens fan and they are a Bruins fan, arguing about who will win the matchup is equivalent to banging your head against the wall. Each person is extremely biased and has a strong passion for their favorite team. A lot of times, they let their favoritism get in the way of the cold hard facts. When I walk into a meeting with a business owner or marketing manager looking to launch a PPC campaign, when I bring up the topic of branded advertisements, it is the equivalent of asking the hockey fans which team they’ll be rooting for. They are either in favor of controlling their branded terms or they think it is silly to be paying money for someone to click on your branded ad since they will likely find your site organically. The fact of the matter is that when the Boston and Montreal fan are arguing about who will win, there is no wrong answer. Any team can win on a given night depending on the outcome of the game. The same can be said for branded ads, there is no black or white answer on whether or not your business should implement this PPC strategy. What is a branded PPC advertisement? According to CPCStrategy.com, Branded (a.k.a. trademark) PPC ads are those that show up when someone is looking for your brand or website. What are the benefits of running a branded PPC campaign? The most obvious reason to bid on your branded keyword is if one of your competitors appears ahead of you when someone types in your company name. This is more likely to happen if you have a keyword within your company name. If you see that a competitor is outranking you on your own brand name, setting up a branded PPC campaign is a viable option. 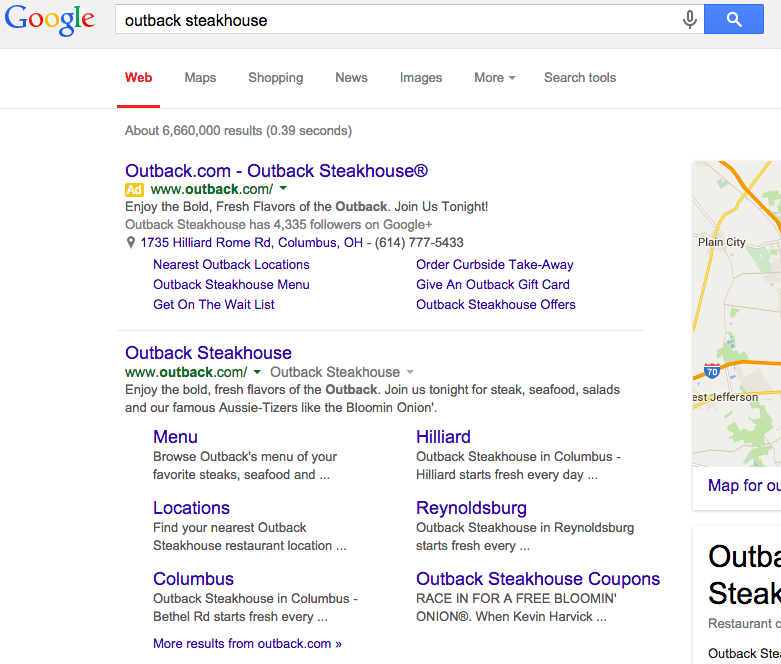 Outback Steakhouse does a phenomenal job of putting strong call-to-actions in its branded advertisement. It is evident how much more information a user can obtain by clicking on one of the sitelinks or seeing the reviews versus what the organic listing displays. 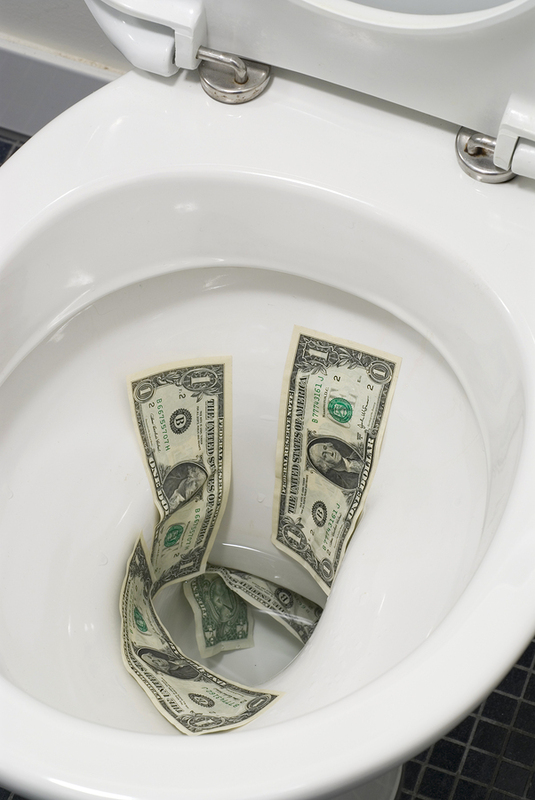 The Waterworks pays nearly $8.00 per click when someone clicks on one of their plumbing advertisements. Let’s face it, some industries are very competitive. When you can bring the user back to your site for $0.30-0.40 per click, it can be well worth it. While some people say that branded advertisements is equivalent to flushing money down the toilet (no pun intended), others see it as one of the best converting advertisements at a low cost per acquisition. The apartment community that was referenced earlier also has communities in the Cincinnati area including Somerset at Deerfield, McCauly Crossing and Arbors of Montgomery. After they implemented a landing page strategy, their PPC conversion rate nearly quadrupled. When you have a landing page that converts better than sending someone to your website, this is a great reason to run branded advertisements. A branded advertisement that sends the user to a high performing landing page can increase the amount of leads your business generates on a monthly basis. 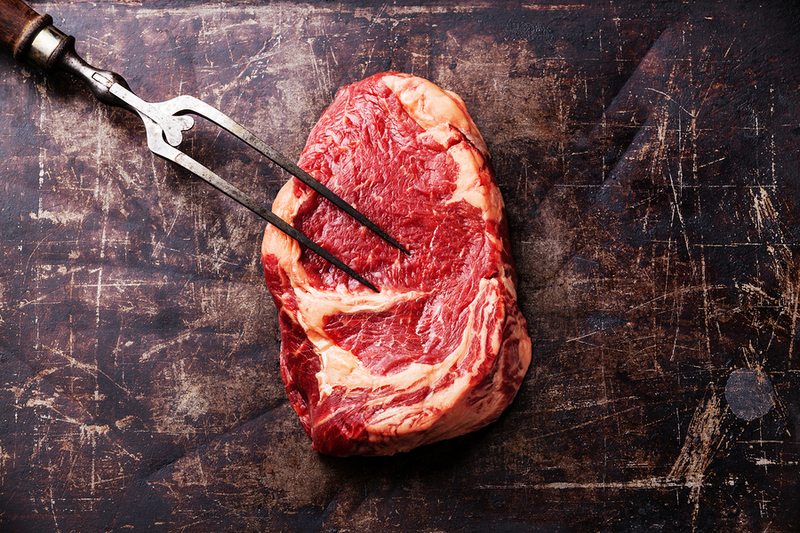 Even though Outback Steakhouse has a well-crafted branded advertisement, its competitor, Longhorn, does not bid on its brand name. Just like there is no right or wrong answer on predicting who will win a hockey game, there is no black and white (or medium rare) strategy on whether you should implement a branded advertisement for your business.